Best Lifers live life better every day than the one before. These seizers of opportunity, love, happiness and adventure inspired us this month, and we think they just might motivate you too! “Humanity and kindness surround us. It is simply up to us to allow ourselves to be vulnerable and open to experience it. 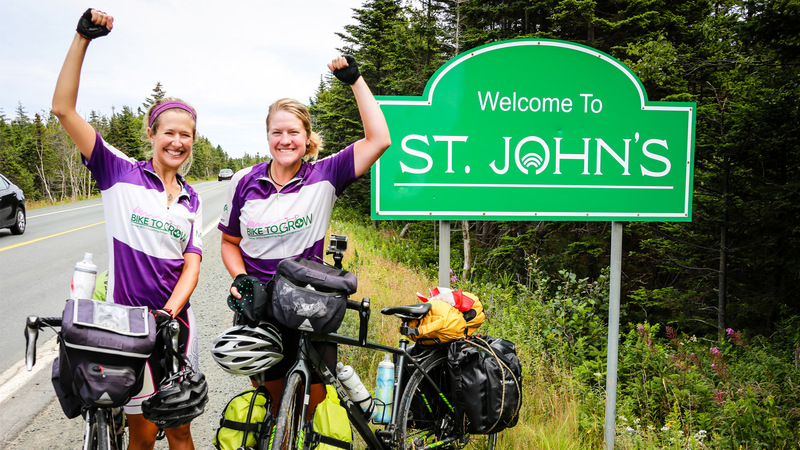 As I spent my summer, cycling 8710K from Victoria, BC to St. John’s, NL with my friend Sarah, we were surrounded by others who cared enough to ensure our safety and generous enough to support our passion. Sarah and I raised $320,000 to MEDA‘s GROW project in Ghana that teaches women to grow their own soybean farms and connect them to the local market. With the help of the Canadian government each dollar works to the power of ten, allowing us to donate 3.2 million to the GROW project in Ghana. 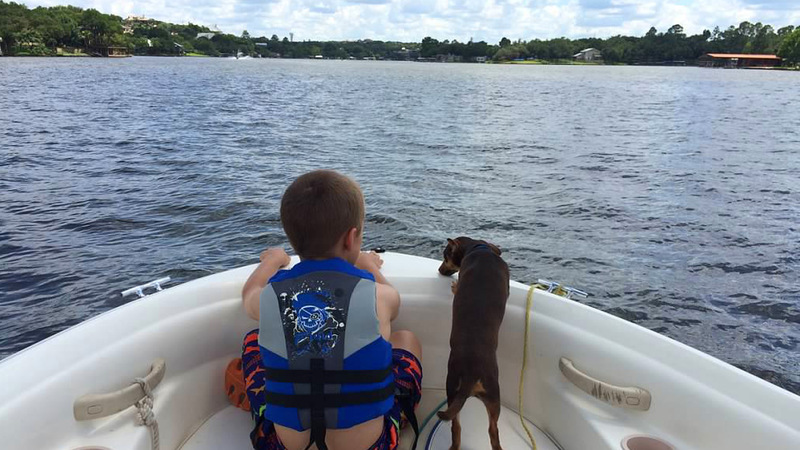 “My son Jaxon was diagnosed with Sensory Processing Disorder (SPD), and Tourette Syndrome. SPD brains have difficulty filtering, organizing and interpreting information taken in by the senses, causing extreme reactions to sensations such as bright light, noises, smells, tastes and textures. And add in the tics caused by Tourette’s, and his body is moving! Jaxon gets up every day and battles for control over his own brain and body. “New situations are very challenging. We LOVE and thrive on routine and life remaining the same—but that isn’t real life and we as parents would be doing Jaxon a disservice if we didn’t lovingly push him (as painful as it can be). Baseball has been a huge success—with bumps and bruises along the way. We knew that physically Jaxon would be on-level with the other kids but we weren’t sure how he would handle the social and emotional aspects of the game. While Jaxon loved the idea of trying baseball when it comes to stepping on the field, whoa, time to put on the breaks. He loved the first practice but refused to participate in the second practice. We weren’t sure if we could be able to have the courage to put on his cleats, hat, and step on to the field, BUT HE DID IT! He overcame what is his body and brain was probably telling him was too scary to do. “I’ve always been resilient. From a young age I was always very stubborn and very determined, never taking ‘no’ as an answer. When I was seven years old my father committed suicide abruptly leaving me without a father and my mother a widow. In his absence, although it is heartbreaking, I have learned to love life and every second of it. I will never take any ounce of it for granted. I’ve also learned to love those around me and to always be kind. “On September 7th 2009, I woke up one morning paralyzed from the chest down. After a month in the hospital I was diagnosed with Transverse Myelitis, which is a rare neurological disorder, only happening to one in a million people. This left me dependent on a wheelchair. “Today, I am breaking barriers. I never let someone tell me I can’t do something and I always say let’s try. 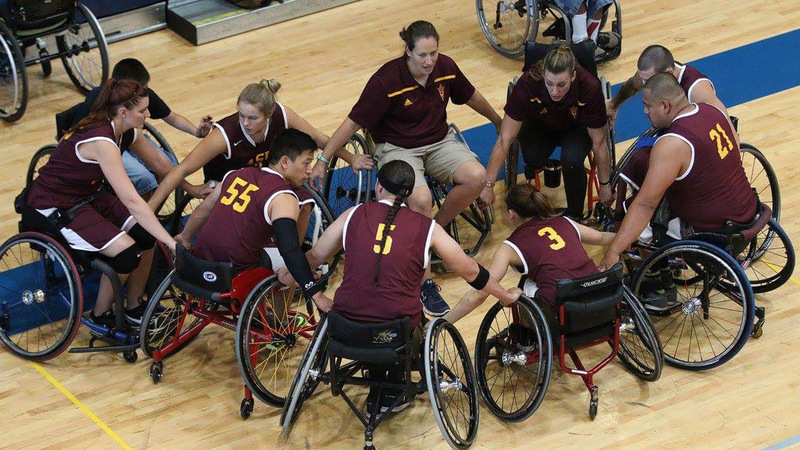 So I have done adaptive skiing, waterskiing, adaptive race car driving, track, and basketball. I also love to travel. I am studying abroad this summer to Seville, Spain. Society has all these views and thoughts of disabilities and I just want to prove that we can do anything. “It often takes a catalyst to set things in motion. 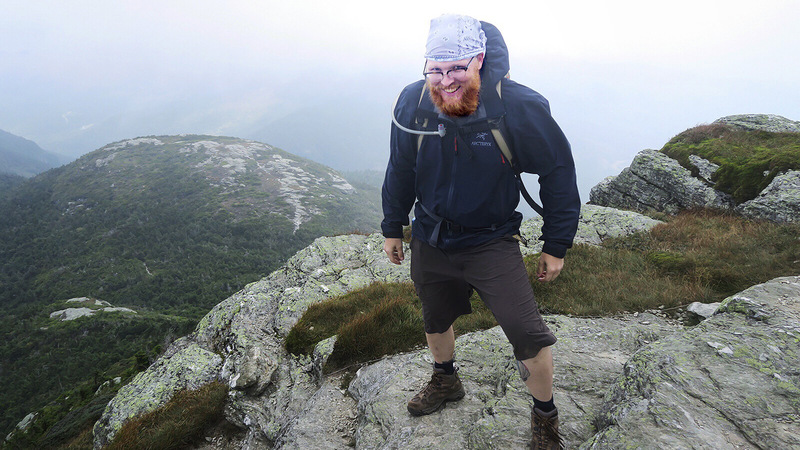 I loved hiking, was working as a photographer and ate ok, but was out of shape and overweight. I wasn’t happy with how I looked, felt or how I thought about myself. Sure, on the surface all was great: house, car, great wife, beautiful daughter, but numbers bothered me. “Two thirty eight. 238. I’ve always been big, but not that big. Health and fitness can’t be judged by numbers alone; I was feeling the strain from the extra weight and lack of fitness. Hikes on the Green Mountains in Vermont, the Adirondacks in NY or the Laurentians north of Montreal were where I faced my fitness reality. I would hike with friends who were much more fit and I spent most of the hike apologizing for holding them back. “The same could be said in my professional life. As a photojournalist I was shooting assignment of all kinds as well as lots of concerts, sports and some weddings. I would routinely carry 30 pounds of camera gear on my shoulders and in a harness…after long days I was wrecked. My knees and back screamed. For years I had been photographing foot races. Marathons, half marathons, triathlons, and I would always crack jokes about those crazy people running for the fun of it. About being the fat guy shooting all of these fit people. Deep down inside though, I had a ton of respect for them. For their determination. Their commitment. I had wanted for years to try to run. But I was too out of shape. My knees were too weak. I would look funny. I had tons of excuses. “Finally I had enough. Too much self-pity, self-doubt. I found a couch to 5k app that I liked and figured that trying and failing is better than not trying at all. So I laced ’em up and headed out the door. To limit my embarrassment I ran at night. And those first nights were awful. Walk 5 minutes, then run 1 minute and recover by walking for 2 minutes 6 times and then walk another 5. Those first 1 minute stints were brutal. I wasn’t sure if my heart or lungs would burst first, but either way I thought I would die. And those side stitches… Then somewhere it happened. It clicked. That 1 minute of running got easier. Then 2 minutes. 5 minutes, 10 minutes. 1 kilometer…progress, accomplishment. Sure, I wasn’t a marathoner, but I was seeing results. The night I ran a full 5k without stopping was an incredible feeling! “I changed my diet, incorporating more whole, unprocessed foods and less junk. So here I am. Almost 2 years after starting this quest to improve my life, I’ve lost close to 50lbs but that’s not what matters, it’s that I know that I have made changes that will help me stay healthier longer. My heart, lungs, muscles and general health have all improved tremendously. I am now training for a half-marathon this summer as well as a 20k trail race around then over a mountain and I have my sights set on a marathon. Who knows, maybe even an ultra!